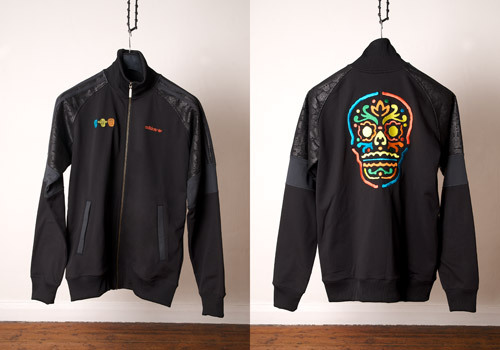 In 2007 adidas revisited the Hispanic holiday represented in the Mexican releases of the Materials of the World series by putting out a Dia de Los Muertos (The Day of the Dead) pack including a Decade Low, a Strider, and the track top depicted here. 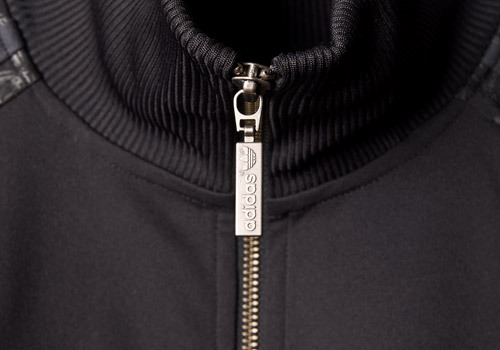 The all black polyester jacket is made in the traditional fashion of most adidas TT’s from ’07: loose fit, slightly longer sleeves, over-sized collar, and stylized zipper pull tab. 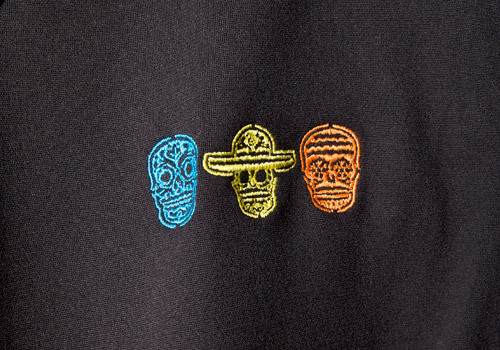 As usual the adidas brand name and trefoil logo are embroidered on the left breast, accompanied on the right breast by three small skull figures in blue, yellow and orange. 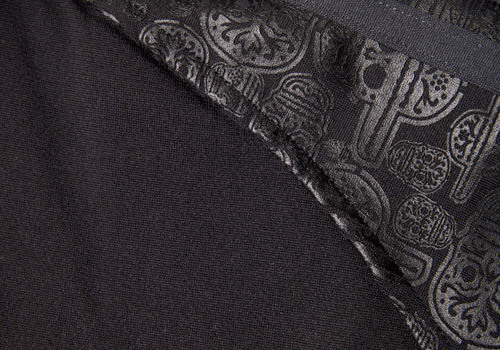 Similar to the Muhammad Ali Values series jackets, the elbows are given a band that break up the design, above which is printed a subtle black on black pattern of the skull figures in various sizes and orientations. 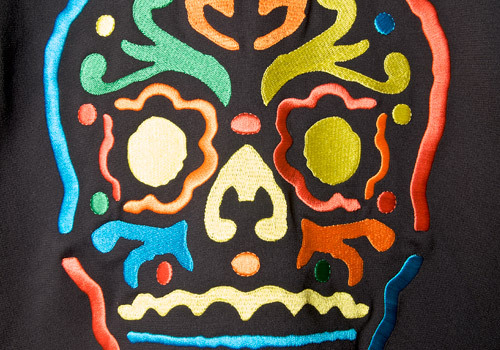 The back of the jacket is surely its key feature, a large ornate skull, embroidered in various colors and depicted in a traditional Dia de Los Muertos style. Any collector who digs the design of this jacket will likely appreciate the very similar, earlier released, MOTW Mexico TT.